You are here: LitRPG Level One / Blog / What About RPG Racing Games? Racing games and RPGs don’t always seem like they go together. They should, though. Think about what you have to do to improve racing skills. You have to buy upgrades. You have to learn new skills. You have to master a very specific set of actions in order to move on. It’s all the same stuff you’d have to do in an RPG. It’s no wonder, then, that there’s always been a thriving subset of racing games that embrace RPG elements. They might not be the games you played in the arcade as a kid, but you can find them on store shelves around the world. These games played an important role in pushing forward the RPG genre. Players who have enjoyed these games have experienced not only an amazing past, but have a bright future ahead of them. Racing and video games have gone hand in hand almost since the beginning. Racing games were reasonably easy to display on even old systems and players could grasp the concept fairly easily. RPGs came fairly later, but it didn’t take long for people to understand how they could work with cars. Upgrading vehicles and changing how they worked just seemed natural. Racing RPGs forked off in two relatively disparate development paths really early on. Some of the games focused on racing and enhancing a vehicle’s abilities. The others focused on vehicular combat, generally replacing a typical player character with a weapon-bearing vehicle. Released in 1989, Final Lap Twin was a true racing/roleplay hybrid. Players took on the role of a rookie racer who wanted to live up to his champion father’s legacy. This game created the loop that most RPG racers would follow going forward. The player would travel around, race other drivers, and earn money to upgrade his car. He’d continue to go through this loop until his vehicle was strong enough to defeat the final boss of the game. A decent combination of racer and traditional RPG, this game was the forebear of almost every non-arcade racing game that came after it. 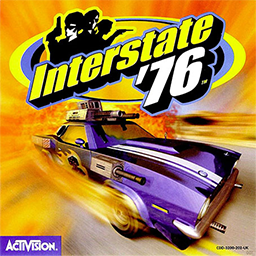 Interstate ’76 is more of a combat game than a racer, but it certainly helped to define the car combat genre for years to come. The game put players in an alternate 1976, one where the oil crisis continued on and worsened. The story involved a trio of rogue drivers, a nuclear conspiracy, and a lot of car combat. The tone was somewhere between serious and silly, but it worked. All of the cars in this game were based on classic American vehicles, adding a touch of realism that would be important for the genre going forward. The game would later get a spiritual sequel in Vigilante 8. 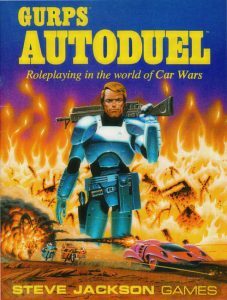 Autoduel was a true true car RPG, inspired by Car Wars. It featured all of the qualities of an RPG, including basic stats and an upgradable car. It was the combat, though, that really stood out. Much like the game that inspired it, this game was all about taking a customized vehicle out on the road and fighting other drivers. The titular Autoduels were a form of blood sport in the setting, and the game didn’t hold back in allowing racers to take each other out. Autoduel was perhaps the most pure combat/racing hybrid to ever get a wide release, and is still beloved today. Racing Lagoon was, at the time, a fairly weird game. It was absolutely an RPG, with the typical JapaneseRPG plot. It was also absolutely a racing game, with a huge emphasis on street racing. Racing Lagoon proved that a racing game didn’t have to sacrifice elements of one for another. 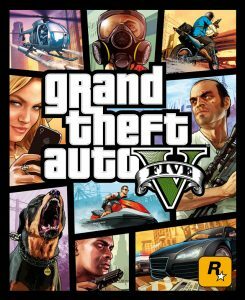 The story was gripping and the street racing was legitimately able to compete with the racing in dedicated racing games. This is the game that innovated the “flash lights to challenge random cars” mechanic that would continue to pop up in open-world racing games for years to come. While few games ever dove as deeply into the plot well as this one, many games did try to follow in its footsteps. 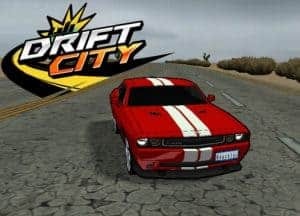 Drift City took the RPG racing concept and took it into the MMO space. While not terribly successful, it helped to pave the way for those that would follow. There was a plot to Drift City, but it wasn’t terribly important. What was important was that players could purchase upgrades, get better cars, and race against one another in massive crowds. This was one of the biggest racing games made at the time. There was a lot wrong with this game, but the sense of speed was incredible. It’s an interesting footnote in the history of car RPGs. 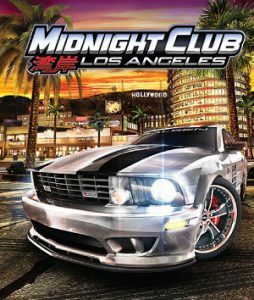 Midnight Club: L.A. Remix was one of the best attempts at making a truly open-world racing game. Featuring a massive Los Angeles, players could race almost anything on the road – and drive one of 45 vehicles. This was a game that embraced every aspect of Car RPG progression. Not only could players get a series of better vehicles, but almost everything in the game could be upgraded. Players could even upgrade the interior of the vehicles, and the photo mode was made for showing off. L.A. Remix was a great game that strained the technical boundaries of contemporary consoles. It set a gold standard that was hard for anything that came after it to meet. Another racing MMO, this one lasted for a solid five years. It took elements from the popular Need for Speed series and applied them to a massively multiplayer environment. Need for Speed World took illegal street racing culture, giving players access to the kind of after-market upgrades that one could theoretically see in the real world. The game also had a level-up mechanic that allowed players to invest skill points in their desired categories. While there were certainly some upgrades that had to be taken, it led to a good degree of diversity in racers. Players could really create the experience that they wanted to create. Grand Theft Auto has always had an odd relationship with cars. It has always been centered around vehicles, but the driving element in recent games has been less than stellar. That changed with Grand Theft Auto Online, though. GTA Online put a huge focus on its racing system, with much of the new content released since day one focusing on making the racing experience better. Players could upgrade their vehicles and collect them in garages, leading to some truly spectacular collections. While GTA Online still has its other focuses, it’s still one of the most successful online racing games ever made. Long before video games ever took on racing, tabletop games were there. These games allowed players to create the vehicles they wanted, upgrade them as necessary, and play out games with their imaginations. These games could create worlds better than any video game. Car RPGs also allowed for deep stories to balance out the combat. Characters were persistent between games and could grow and change. It was easier to get attached to these worlds and players could come back to them for years. These games were the ultimate combination of gear-head fantasy and RPG gaming. While these games might not be as popular as they once were, they still have a special place in gaming history. From the earliest games to the modern classics, these games are worth playing if you love Car RPGs. It should come as no surprise that there are GURPS version of car RPGs. Not only is the Steve Jackson Company the company that made Car Wars, but there’s pretty much a GURPS version of everything. If you’re not familiar with GURPS, you can look at it as one of the more in-depth role playing systems on the market. It allows you to model pretty much anything with stats, an important factor for a racing game. GURPS racing can be hard to get into, but it’s absolutely rewarding if you give it a try. 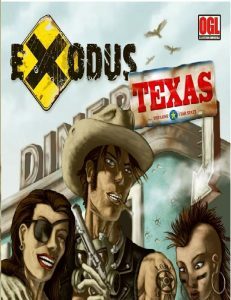 Exodus was initially based in the universe of Fallout, but became much more once it was on its own. Taking players into a post-apocalyptic landscape, it had a real Mad Max flavor. The game didn’t always necessarily center around cars, but they were important characters in their own right. Exodus showed that you could add cars to RPGs without necessarily overwhelming the system. 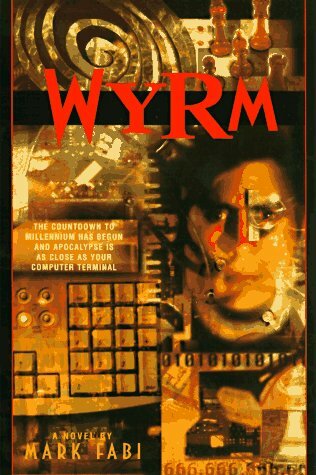 It was a fun way to play out apocalyptic driving fantasies, especially for those who loved games like Fallout. 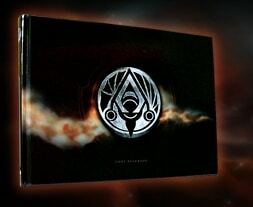 Alpha Omega was another RPG that wasn’t quite about cars, but that could do interesting things with cars. While the setting of the game was fairly forgettable, it was amazing at modeling a realistic world. There could be a good bit of math involved in making the car of your dreams, but you could make it exactly as you liked it. There was something unique about being able to make a mechanically accurate vehicle and having it work exactly as you expected. This game may not have been exactly what most were looking for, but it worked incredibly well nonetheless. Road Hogs took the TMNT RPG setting and added the ability to make suitably strange vehicles. The game focused around mutants and mutant gangs on the West Coast, all of whom used heavily modified vehicles to scavenge from the ruins of society. This was a game not just about vehicles, but about creating the monstrous vehicles of your dreams. There’s been few games that could match the wacky customization of this game. It might have had a slightly silly setting, but it was absolutely a setting that was worth spending time in. If a game has a system called the “V6 Engine”, you know it’s going to have car RPG fans in mind. This game had the usual post-apocalyptic setting, but with an awesome vehicular combat system. Realism wasn’t the goal here – it was doing things that looked cool. For those who wanted something a little less serious, it was a fantastic system. It’s nice to see car combat get a core role in any roleplaying game. While perhaps imperfect in execution, Atomic Highway gave players a new way to play around with the tropes of vehicular combat. Octane (or octaNe, as the creators prefer) is a truly weird game. It’s a truly weird game about a post-apocalyptic America that absolutely embraces the old kitsch of Route 66 and roadside attractions, though. It’s the perfect game for playing a truly weird car RPG. Yes, there are other aspects to the game that don’t involve vehicles. The cars, though, are an important aspect of the game. Whole sessions can revolve around upgrading and maintaining one’s lifeline on the road. Car combat is easy and explosive, which makes it fun. 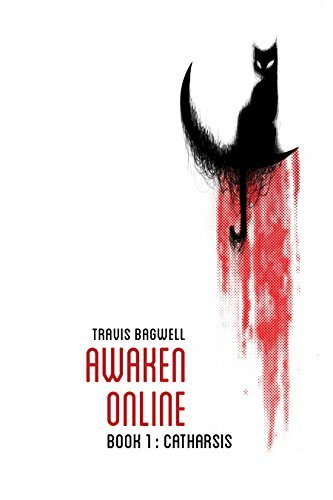 This is a fantastic car RPG for anyone who wants to embrace the strange. Your Dream Racing RPG Game? So, what would make for the perfect RPG racing game? It’s a matter of taste, to be sure, but there are probably at least a few elements that would have to go into the game. First and foremost, the way the car handles is going to be important. If the controls aren’t as tight as humanly possible, everything else is going to fall apart. The vehicle handling is going to need to crib from the best arcade racers out there – anything too realistic is going to kill the joy of the game. Next, customization is going to need to be huge. This is something that the Car RPG genre could blatantly steal from MMORPG developers like Cryptic, who allow for customization of the most minimal aspects of their game characters. It’s not just the car that matters here, either – a good RPG will also let you customize your driver. The combat should also be explosive. It might be over the top, but it should capture the feeling of movies like Mad Max. Car-to-car combat should be something special. Finally, the setting needs to matter. There should be a story that’s deep enough to draw in players, but not so deep that it overwhelms the game play. VR is the future, at least as far as RPG racing games are concerned. It’s a perfect fit for the genre and will allow the games to become deeper than ever before. If you think about it, it’s strange that there aren’t already RPG racers on current-generation VR systems. They’re perfectly suited for a platform where one doesn’t need to move and where turning one’s head is a key part of paying attention to the setting. Imagine being able to put on a headset and seeing the inside of your custom racer. You’d be able to upgrade every surface, putting together the ideal cockpit in order to get out on the road and take out the competition. You’d be able to draw back to a third person perspective when crafting your car, physically adding each piece to create something special. From this model view, you could add modifications and weapons. Once you got out on the track or the field, you’d be able to see everything. Every bullet flying your way, every hairpin turn – it’d be like you were really there. In VR, you’d be totally immersed. Best of all, you’d see everything as it changed. You’d get a first-hand view of what it looked like to go from a new racer to a champion. It’d be one of the best uses of VR ever. Want to discuss any of these great RPG racing games or others you enjoy? 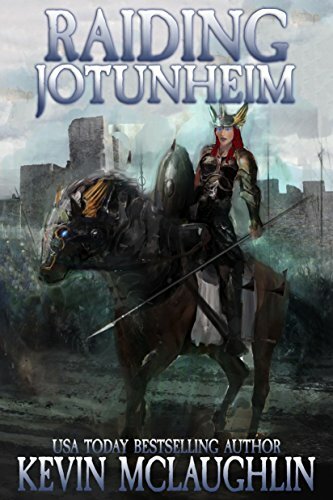 Head over to the LitRPG Forum. You’re sure to find many like-minded people willing to lend an ear and share stories of their own. We have a dedicated Gaming forum with threads like Trapped on an Island With Only One Game. No matter what types of games you love, you’re going to enjoy your time at the LitRPG Forum.